Picking the right eyeshadow palette for you can be difficult with so many on the market. The colours, the formulas and the size are just a few factors to determine whether a palette makes its way into your checkout basket or not. Complimentary Colours | Whenever I am feeling uninspired with my eye makeup, I always reach for a palette that has an array of complimentary shades to suit my eye colour. The Zoeva Naturally Yours* and Rose Golden* palettes are two that I can't get enough of. With hues from matte browns to intense coppers, they have you covered for every occasion, whilst doing the colour co-coordinating for you. Neutral vs Vibrant | As a neutral girl through and through, I don't own many vibrant palettes as I know I wouldn't get my use of them. I usually reach for the palettes with lots of browns, burgundy and champagne highlight shades as I know these will get the most use. If there's over half the palette you wouldn't use, there's little to no point in purchasing as you simply won't get use out of it - Coming from an eyeshadow addict, this is something I've had to learn over time. At the moment the Anastasia Beverly Hills Modern Renaissance Palette is calling my name, but I am continuing to compare swatches, make wishlists and look at other reviews. 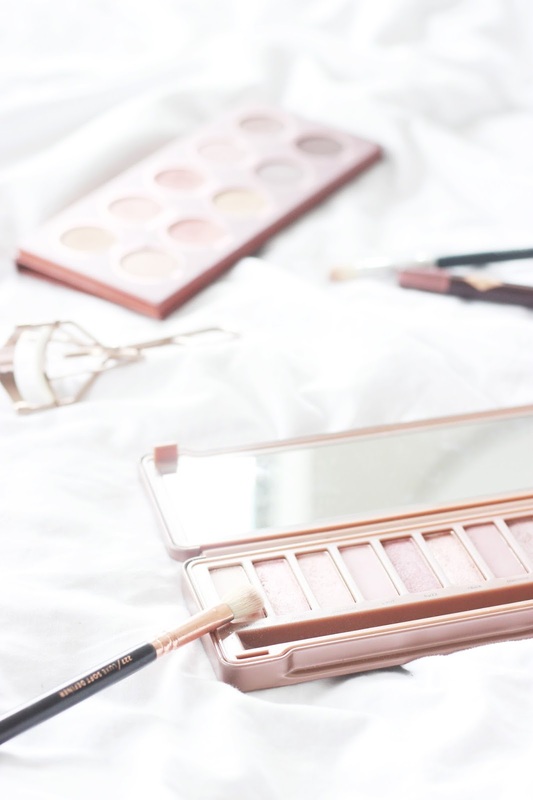 For Travelling | If you're constantly on the go the Urban Decay Naked Palettes might not be the best bet for you as even though they have an array of 12 hues to suit any look, they can take up a lot of space in your makeup bag. For me, quads and duos are what I travel with, the Nars Kalahari Eyeshadow Duo and Charlotte Tilbury Dolce Vita Palette being two of my favourites. High Street or High End? | There are so many eyeshadow palettes on the market at the moment ranging from anything from £5 to £50. Although there are some real gems on the high street, I tend to opt for more luxe products as I find their quality and pigmentation are better. Saying this, the Sleek I-Divine Palettes* have been in my collection for a while and despite being under £10, they still perform brilliantly and come in a range of colours. What are your favourite eyeshadow palettes?